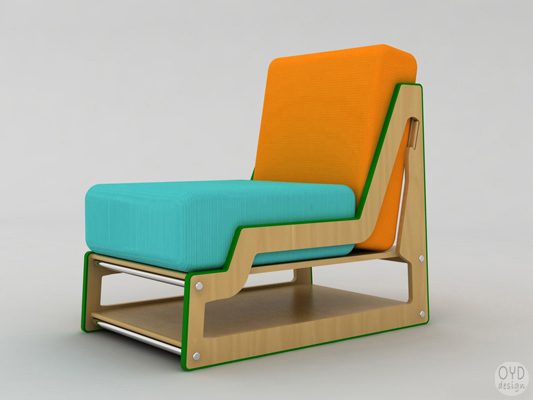 FUNKY CHAIR is a modular seating system beyond conventional furniture. 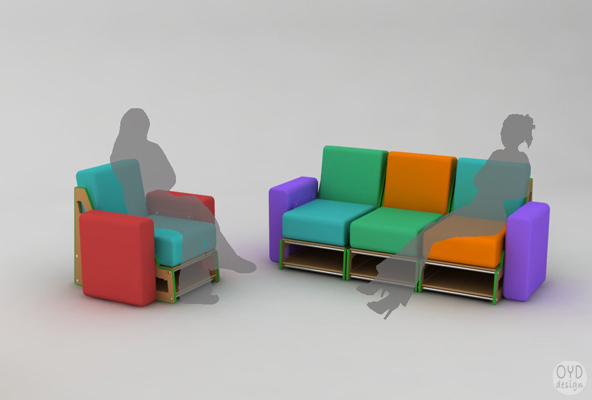 The system enables flexible seating arrangements by the light-weight unit and separate cushions. 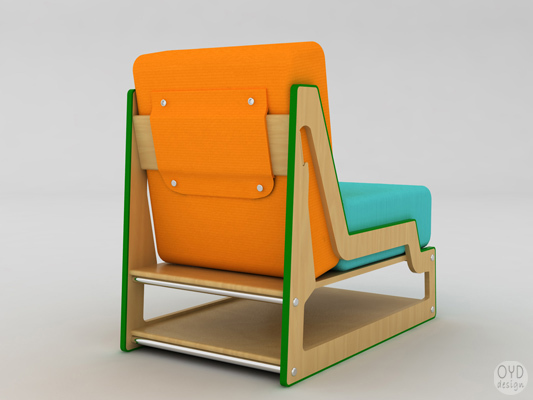 This armchair is an entry in Indexaward 2009 and some aspects have been improved which are not shown here.